To celebrate the release of Atoll we are selling a limited edition rank named “Palmyra“! This rank is on sale for $50 and receives ALL the perks of the Ultimate rank (except custom prefixes). The Palmyra Atoll is one of the Northern Line Islands south of Hawaii. It is said to be “a place of strangeness and menace” with passing boats reporting that they see ghostly lights and many ships wrecking on its shores. You can also find the critically endangered Hawksbill Sea Turtles there! This rank will be available until Sunday, March 31st, at 23:59 CDT! Grab it while you can! Our January event is going to be a great big snowball fight – Meadow versus Summit versus Valley. Join us on Saturday January 26th 8PM UTC to pick a class and fight for your server! If you’re planning to join us, please visit our Discord and hit the TNT reaction to this announcement so we have a good idea of the numbers we can expect. Hello everyone! I am equally excited to have this opportunity and take on the challenge of working on the server from an owner position, but I want to make sure everyone knows: I do not plan on making any major changes. Altitude will stay Altitude, and 8bitx and I will be making the bigger decisions together. I look forward to keeping the server going and ensuring all of you can continue to play on Altitude for a long time to come! Congrats to Teri on “Owner” Position! I am very excited to announce that @teriuihi has been promoted an owner position here on Altitude! 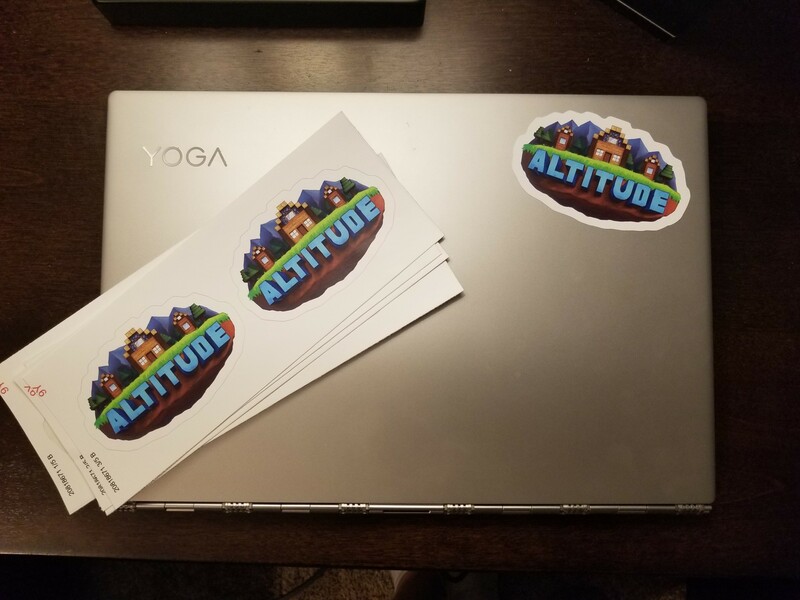 Some of you may know that over the last few months I’ve had less time to dedicate to Altitude, and with the server bigger than ever I needed some help. I will continue to be the “owner” of the server and will continue to provide guidance to the rest of the team as well as maintain the assets related to the project, but it is time to let someone else take the reins and handle the day to day management and leadership here on Altitude. Moving forward, Teri will be taking over my responsibilities related to most server management and will guide the project toward his vision of what Altitude can be by: maintaining the server infrastructure, managing the plugins, improving various elements of the server (such as the rules), and leading the staffing team. I will still be around, but questions, concerns, and suggestions should be directed to either Teri or the team! Congratulations @teriuihi, I am excited to be able to work with you on this project and see where we can go under your leadership. We’ve made a lot of changes over the past couple weeks in order to accommodate 1.13.1 and the larger player base! We knew the server would be busier once the new version dropped – but we weren’t prepared for the amount of players trying to play at once. Needless to say, our server was not set up to support 100-150 players online at once, and we’ve needed to make some pretty drastic changes quickly in order to support everyone trying to play. Mojang has officially released 1.13 today! 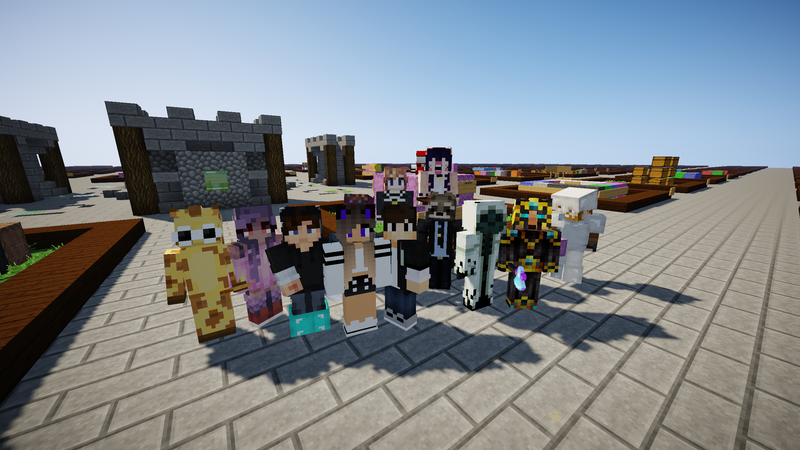 We still aren’t quite ready to update the server, but everyone should make sure that they are ready, cause it will be soon! Our plan is to update as soon as we possibly can, and there might not be much of a warning ahead of time, so it is important to make sure you have all the stuff you want to keep in the transfer world at all times! You can access the transfer world with _/transfer_ in-game. The server ran out of disk space this morning during a routine backup, resulting in the server no longer being able to write to any files and crashing. The cause of this issue was a new backup script, that was written a few days ago to fix some lag during backups, failing to delete pending-backups after they are offloaded to the backup server. We’ve fixed the script, however this event has corrupted some data on the server and we are looking into options to restore the corrupted data. 11:28AM EST: The server is now back online, sorry about the downtime! If you notice anything unusual please report it to support@alttd.com or on Discord! Even though this is still not a official date and they could change it, I think it’s time for another update about our status surrounding 1.13. Once 1.13 is released, it will likely be a few more weeks until we are able to update too. We need to wait for Spigot, the program this server runs on, to update as well, along with all of the plugins that we use. The good news is that the team behind Spigot have gotten much faster at updating over the years. It used to take several months, and now they’ve got it down to usually a couple weeks. They’ve had a test server running for a few months now too, so we know they are making progress. Most of our plugins should also be compatible with 1.13 already – I’ve been told that most 1.12 plugins will work as long as they’ve been updated to use item names instead of item ID’s (and they definitely should be). If there are a few plugins that aren’t compatible, they should be able to update soon, because the API has been available for several months now. 1.13 is getting closer! We are officially in the second quarter of the year, which is when Mojang predicted the new version would be released. We still don’t have an exact date, but everyone needs to make sure they are prepared NOW so that we can update as soon as it’s released. Watch the video above for more info. © 2019 Altitude. All rights Reserved. Not affiliated with Mojang.